Theses statistics use roughly the same logic that is used for the "has address" layer on qa.poole.ch, it differs insofar in that it does not double count nodes with address tags. Due to the differences in how the GWR addresses are collected from municipality to municipality they may include addresses for auxillary buildings or not, just as the OSM data, unluckily this tends to always work towards making the numbers not really comparable. We are currently not importing the data wholesale, we do have an ongoing project to import addresses in the Canton Berne from the better cantonal data set that is roughly 50% complete. 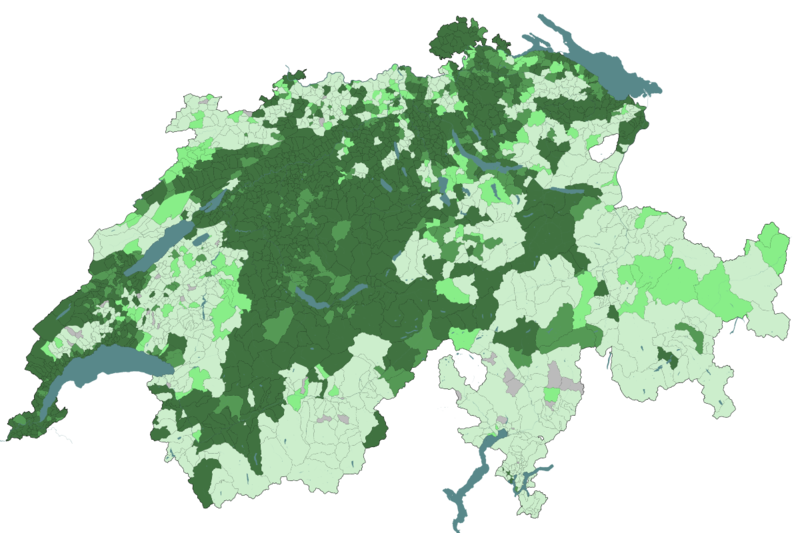 But you can use the data for local coverage improvement or suggest an import on the Swiss mailing list.